While it doesn’t sound like the Giants will be taking a chance on free agent QB Tim Tebow, Giants co-owner Steve Tisch sure isn’t shy about taking a shot at the Jets when it comes to Tebow. 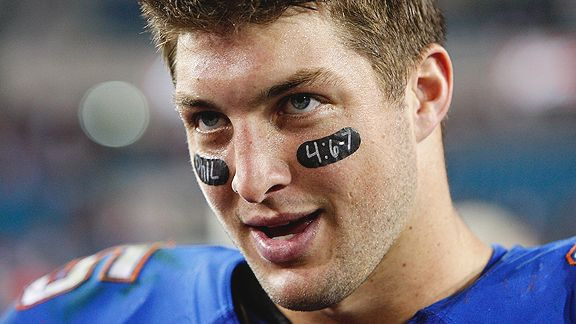 Tisch told TMZ.com that the Jets destroyed any chance Tebow had to be a successful quarterback in the NFL. “I think him going from the Broncos to the Jets was not in anybody’s best interest,” Tisch told TMZ on his way out of Dan Tana’s in L.A. Sunday night. Could it be the Giants – not likely. It’s sad that people hate on Tebow so much. We complain about the jerks getting so much money in sports, he seems to be a good guy. Maybe not the best but he wins. At every level! The guys a Christian and it gives free reign to make fun and laugh at him. You know these days if he had any other faith, everyone from the president on down would be calling for him to play. Like I said he wins. I know people say he gets lucky, they all do. How many great QB’s play on bad teams and can’t get a break. It’s time to call it what it is! Tebow’s faith has nothing to do with whether he plays or not, if anything it’s the only reason he has been given chances up until this point, he’s such a religious nut that he’s garnered the attention of like minded individuals giving him a built-in fan base. While I agree the Jets were not the right situation for him if teams felt he was a winner he should have no problem finding another job. Why would everyone be calling for him to play if he was another faith? That line makes less sense than the Jets trading for him in the first place. He’s just not that good. Given a chance, he wins!! !